Take an unforgettable journey by train to visit America’s renowned National Parks and world-famous cities. Travel cross country and witness the beauty and grandeur of the Great American landscape from the comfort of the observation car. Explore the stunning Pacific coast and watch waves crash on the shore while you take lunch in the dining car. RailTourGuide have carefully crafted rail holidays that showcase the incredible variety that North America has to offer. We will plan your itinerary to make sure you get the most out of every destination, and so the hardest decision you will have left to make will be choosing when to leave! Come travel aborad Amtrak and start your journey in the Windy City! Continue your journey to St. Louis to gain an enriching cultural experience. Move on to Dallas, where everything is bigger in Texas! Your last destination will be San Antonio where you will learn some Spanish history. | Call us on 0191 246 0708. Walk the Freedom Trail in Boston; visit the Statue of Liberty in New York City; view the Liberty Bell in Philadelphia; and admire the Lincoln Memorial in Washington, DC. 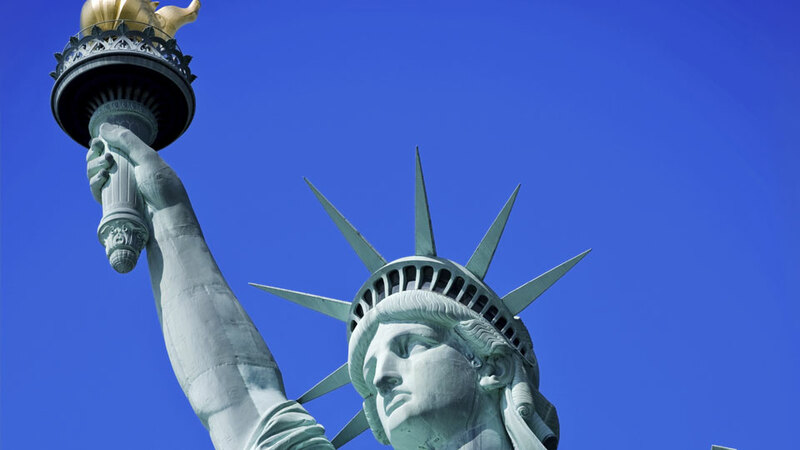 These are must-sees for any patriotic American or visitor alike, and will form the backbone of this fascinating journey through the birthplace of the nation. All four cities have a crucial role in this history but have also developed into thriving, vibrant modern cities. | Call us on 0191 246 0708. Bask in the glow of celebrities, sun, and culture on your rail journey up the California coast. Begin in the home of stars, Los Angeles, and work your way up the coast enjoying the beach in Santa Barbara, sipping wine in Paso Robles, and exploring the City by the Bay. | Call us on 0191 246 0708. Experience three vibrant West Coast cities on this exciting rail journey! Begin in San Francisco and tour the city on a hop-on / hop-off tour. Then head south to Los Angeles for a chance to spot some celebrities. Then head to Las Vegas where a full-day trip to the Grand Canyon is included. | Call us on 0191 246 0708. Visit two historic cities by rail. Begin in Chicago and have a chance to explore the Windy City on board a sightseeing tour. Then board Amtrak for an overnight train to Boston. See the sights and sounds of this history making town on a sightseeing trolley tour and with a CityPASS visit some of Beantown’s top attractions. | Call us on 0191 246 0708. Visit two historic and vibrant cities by rail. Begin in Chicago and have a chance to explore the Windy City on board a sightseeing tour. Then board Amtrak for an overnight train to Washington, DC. See the sights and sounds of this political town on a sightseeing trolley tour and end with dinner in a popular restaurant. | Call us on 0191 246 0708. Travel aboard Amtrak from the coast to the canyon! Your journey begins in Los Angeles. View the Hollywood sign and celebrity homes. Take a ride to the canyon, one of the worlds most natural wonders. 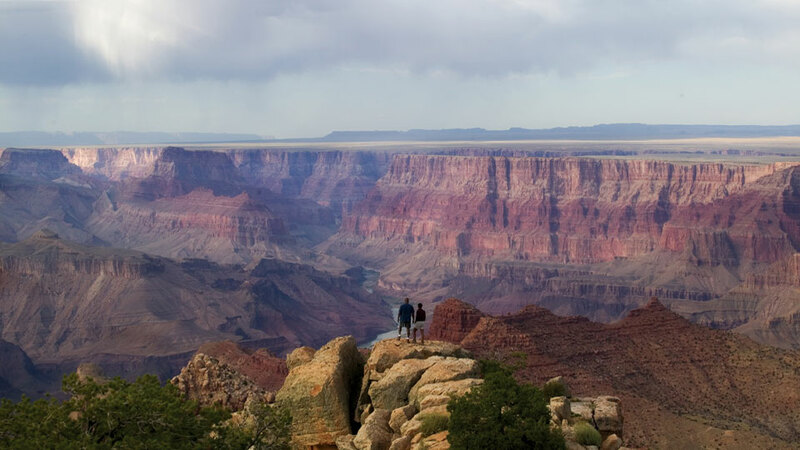 Enjoy a rim tour with a buffet lunch at the Grand Canyon! | Call us on 0191 246 0708. Get acquainted with southern hospitality on this unique rail journey. First stop Dallas, which will bring out your Lonestar spirit! Amtrak® will then take you to San Antonio on your next stop. Visit the Alamo and many other attractions. Finally, take it easy in the Big Easy! | Call us on 0191 246 0708. Take Amtrak down the eastern cost of the United States on this 10 day rail journey. Begin in Boston with a trolley tour of this historic city before heading south to New York City. Explore the city on a hop-on / hop-off sightseeing tour. Continue south to Charleston and Savannah where tours of each city acquaint you to southern charm. Then end in the vacation capital, Orlando, with tickets to Walt Disney World. | Call us on 0191 246 0708. Experience the non-stop excitement of New York City, and then travel by Amtrak to Niagara Falls to witness one of the natural wonders of the world. Afterwards you will travel by VIA Rail Canada to the cities of Toronto, Montréal and Québec City before boarding the brand new Train of Le Massif du Charlevoix for a unique and trendy rail cruise to La Malbaie and the majestic Fairmont Le Manoir Richelieu. | Call us on 0191 246 0708. 11 Days – From £1499 per person. 9 Days – From £1295 per person. In the north are some of the last truly wide-open space left, and the Amtrak® Empire Builder® takes you there. | Call us on 0191 246 0708. 10 Days – From £1225 per person. The Grand Canyon has long been described as something to experience at least once in a lifetime. Enjoy a short stay in Chicago before boarding the Southwest Chief® and heading to Arizona and the Grand Canyon. | Call us on 0191 246 0708. 9 Days – From £1020 per person. Begin your tour of a lifetime in Albuquerque before heading over to Santa Fe, where historic cultures thrive. Arrive at the Grand Canyon Railway Hotel and experience life as it was in the Wild West. Board the Grand Canyon Railway for an unforgettable excursion to the South Rim of the Grand Canyon. Flagstaff is your final destination, where you will be treated to an all-day tour of Sedona. | Call us on 0191 246 0708. 14 Days – From £1699 per person. The Great American – Majestic Landscapes will take you from the bright lights and big city of the Big Apple to the rolling waves along the City by the Bay on a 14 day cross country rail journey. | Call us on 0191 246 0708. 16 Days – From £2498 per person. Come aboard Amtrak® for a northern adventure! Travel from the West to the East on Amtrak. | Call us on 0191 246 0708. 17 Days – From £2250 per person. The Great American – Southern Trail will take you from the city of celebrity and glam to The Alamo City to the Big Apple on this cross county 17 day journey. | Call us on 0191 246 0708. Enjoy a rail vacation to 3 historic and vibrant US cities. Begin in Chicago and have a chance to explore the Windy City on board a sightseeing tour. Then board Amtrak for an overnight train to Washington, DC. See the sights and sounds of this political town on a sightseeing trolley tour. Then it’s off to the Big Apple with a sightseeing tour to some of the city’s top attractions and dine in the world famous Time Square. | Call us on 0191 246 0708. Journey from the Midwest to the Pacific aboard Amtrak. Begin in Chicago and see this bustling city on a hop-on / hop-off city tour. Then head west to Salt Lake City and continue to Yellowstone National Park for a full-day tour of this historic park. Travel back to Salt Lake City where a city tour is included before continuing west to San Francisco. Visit the majestic Muir Woods and Sausalito on a sightseeing tour to revel in the beauty of the Pacific coast. | Call us on 0191 246 0708. Travel aboard Amtrak from the mountains to the canyon! | Call us on 0191 246 0708. 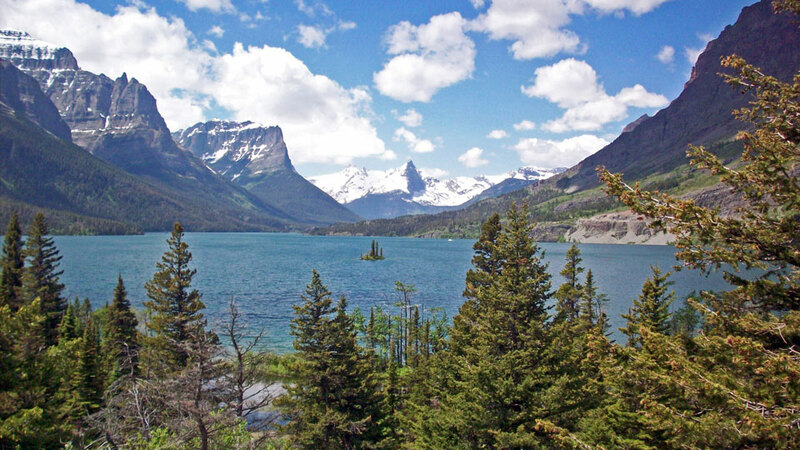 Come travel to some of America’s most beautiful National Parks. | Call us on 0191 246 0708. Experience the beautiful Fall foliage of New England on this exciting tour. | Call us on 0191 246 0708. Start your journey in the “City that never sleeps”! There is so much to see from the awe-inspiring views atop the Empire State Building to the bring lights of Times Square. Then, travel to Washington DC, a city brimming with history, politics, architecture, and nightlife. It’s filled with boutiques and galleries, historic homes and museums, urban parks and spectacular gardens. | Call us on 0191 246 0708. 6 Days – From £999 per person. Museum buffs and fans of renowned culture and attractions this is the tour for you. | Call us on 0191 246 0708. 11 Days – From £1650 per person. Experience the non-stop excitement of New York City, and then travel by Amtrak to Niagara Falls to witness one of the natural wonders of the world. | Call us on 0191 246 0708. 8 Days – From £1125 per person. Enjoy a rail vacation to 3 historic and vibrant US cities. Begin in New York City with a sightseeing tour to some of the city’s top attractions and dine in the world famous Time Square. Then it’s off to Washington, DC. See the sights and sounds of this political town on a sightseeing trolley tour. Then board Amtrak for an overnight train to Chicago. Explore the Windy City on board a sightseeing tour. | Call us on 0191 246 0708. 7 Days – From £850 per person. Hop on Amtrak to experience the Northern Exposure. Start off your trip in Portland. Visit some of the many parks through a hop on/hop off trolley. Continue on to Seattle. Indulge in fresh produce at Pike Place. Make your final stop at Vancouver. This coastal city has a lot to offer. Enjoy a relaxing day in one of the local’s favorite restaurants or parks. | Call us on 0191 246 0708. 10 Days – From £1895 per person. Experience the northern cities through rail! Travel aboard Amtrak® to the Windy City! Continue north to experience one of Canada’s most exhilarating cities, Toronto. Don’t forget to bring your poncho, because you will be seeing Niagara Falls. The last two cities you will visit are historic Montreal and The Big Apple! | Call us on 0191 246 0708. 8 Days – From £950 per person. Venture to the pacific northwest on Amtrak. Climb aboard a double-decker bus to explore San Francisco. Move onto Portland. Experience “The City of Roses” and all its excitement. Last stop, Seattle. Don’t forget to see the Space Needle! | Call us on 0191 246 0708. 10 Days – From £1298 per person. Your journey begins in Los Angeles where you’ll board Amtrak to venture off to the Grand Canyon. | 0191 246 0708. Venture from the Mile High City to the calming lake of Salt Lake City to the hustle and bustle of the City by the Bay for a Rocky Mountain high adventure. | Call us on 0191 246 0708. 7 Days – From £799 per person. 8 Days – From £999.00 per person. Experience southern hospitality on this rail journey as Amtrak® takes you through Washington, DC, Atlanta and New Orleans. See America’s Capitial by traveling on a hop on/ hop off tour. Next, your tour continues on to Atlanta. A CityPass will allow you to see many of Atlanta’s famous attractions. The final stop of the journey is New Orleans. A narrated tour will provide you the rich history of the Big Easy. | Call us on 0191 246 0708. Come travel aboard Amtrak to see the splendors of the Big Apple! Then adventure on to Philadelphia to see the “City of Brotherly Love.” Next, continue your journey to the Nation’s Capital. | Call us on 0191 246 0708. Visit two historic and vibrant cities by rail. Begin in Washington, DC. See the sights and sounds of this political town on a sightseeing trolley tour and end with dinner in a popular restaurant. Then board Amtrak for an overnight train to Chicago. Explore the Windy City on board a sightseeing tour and visit the top attractions with a CityPASS. | Call us on 0191 246 0708. Visit two metropolitan cities by rail. Begin in New York City and have a chance to explore the Big Apple on a sightseeing tour and dine in the world famous Time Square. Then board Amtrak for an overnight train to Chicago. Experience the Windy City on board a sightseeing tour and visit some of the top attractions with a CityPASS. | Call us on 0191 246 0708.